Stabbing Les present WORK, a new performance as part of Pas Moi at Broadacre House in Newcastle upon Tyne on Friday 9th December. 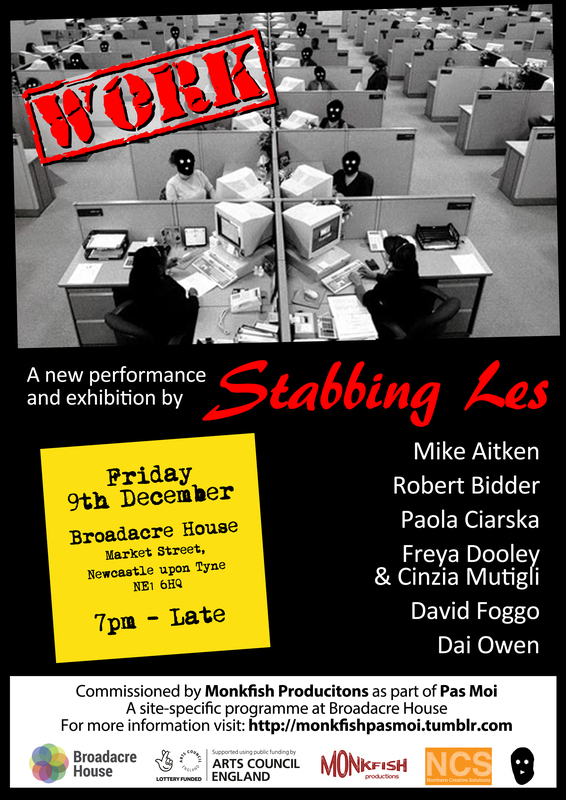 Stabbing Les are pleased to announce that Les Cassettes will be on display as part of the BALTIC Book Market on Friday 5th and Saturday 6th December 2014. 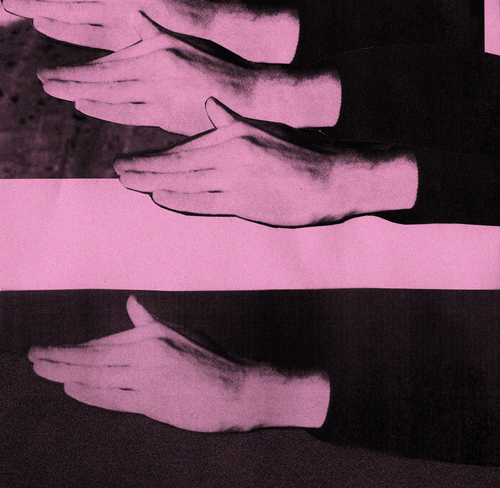 Cassette artworks will be available to buy alongside a fantastic selection of artist books from a wide range of stalls included in the market. Due to popular (some) demand our pop-up cassette shop / exhibition for International Cassette Store Day is going to remain open for 2 more weeks. 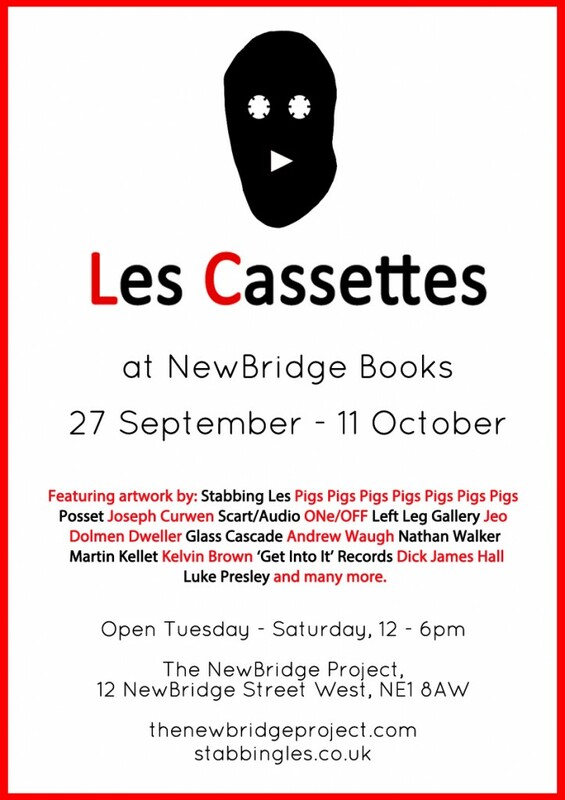 You can visit Les Cassettes at NewBridge Books from 12 – 6pm on Tuesdays to Saturday until Sat 11th October. The First LES CASSETTES event takes place at NewBridge Books on Saturday 27th September. 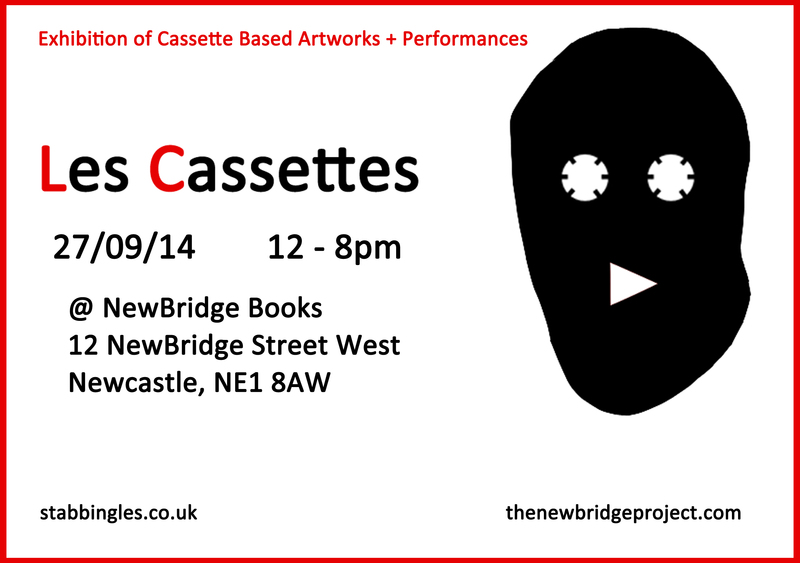 There will be a whole host of limited edition Cassette artworks on offer, at affordable prices. 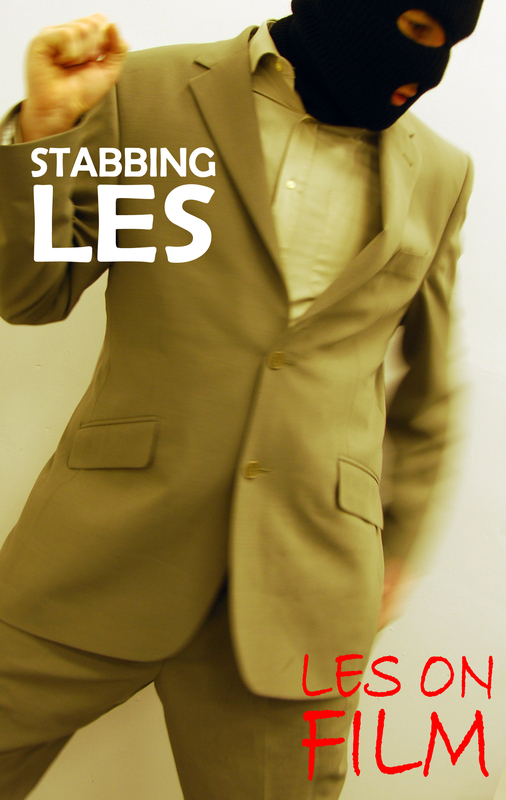 It may appear as if nothing is going on but don’t worry, Stabbing Les are hard at work behind the scenes getting several projects ready. 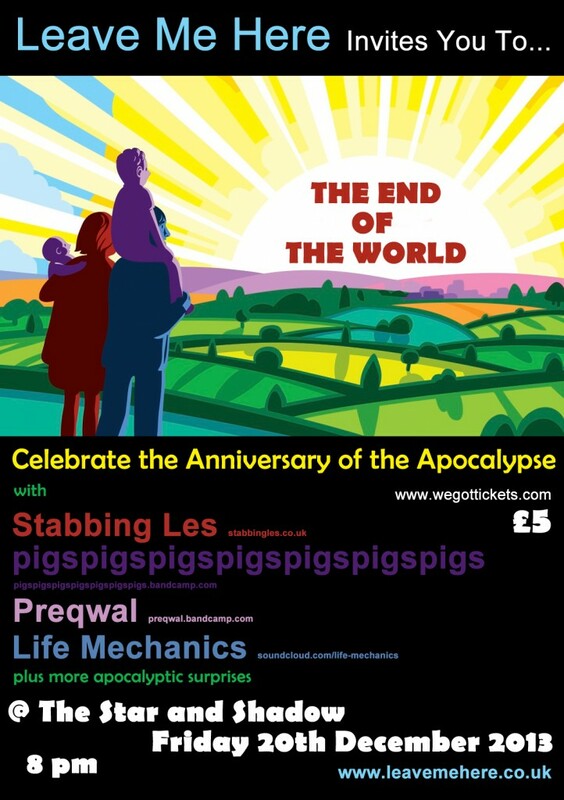 Join us to celebrate the anniversary of THE END OF THE WORLD on Friday 20th December at the Star and Shadow Cinema in Newcastle. We will be playing your favourite acopalyptic athemes alongside some fantastic bands, party games and more surprises to be announced. 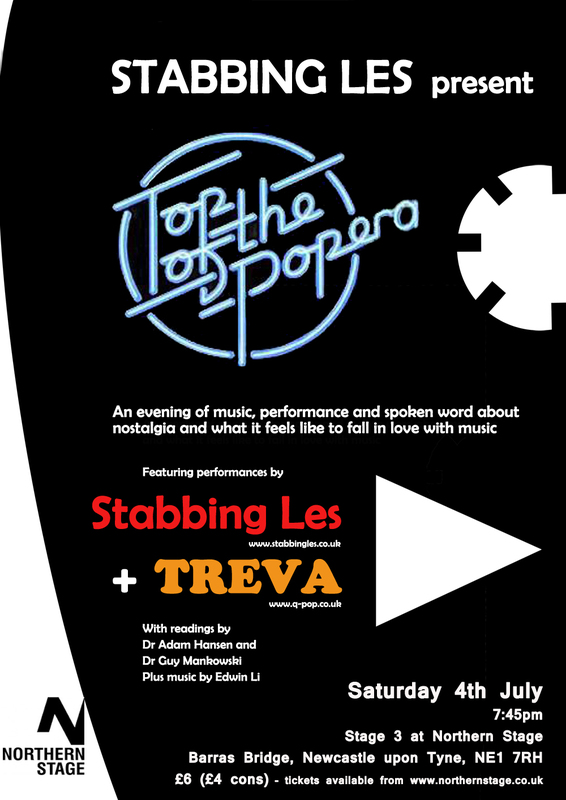 A few copies of the limited edition “Les on Film” VHS will be on sale at Hot Potato Records in Durham on Saturday 24th August, 2013.